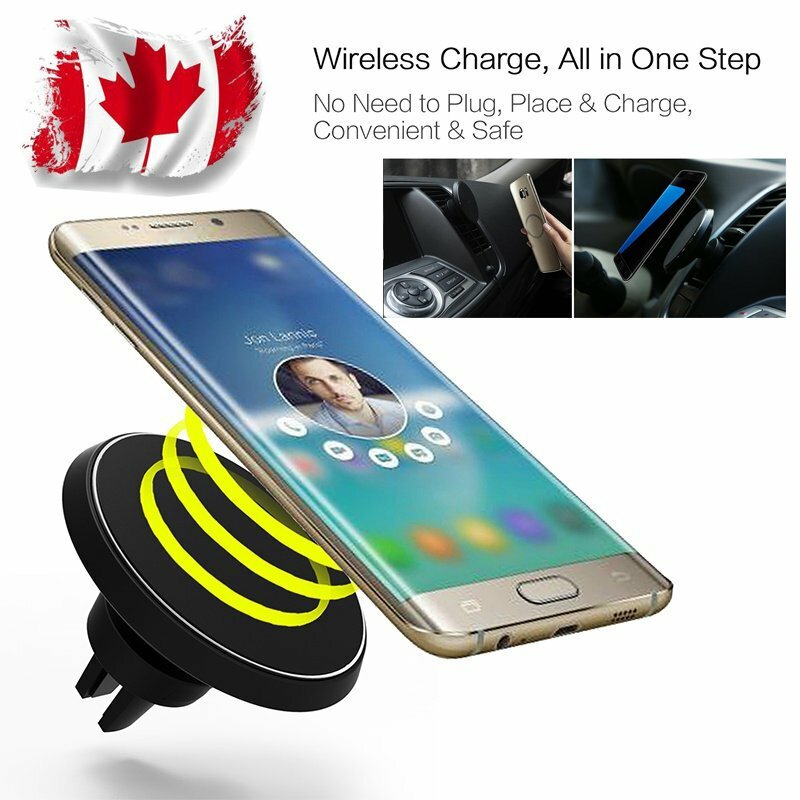 The wireless charger is a charger that can charge a smart device without using a data cable, specially designed for many cellphone. 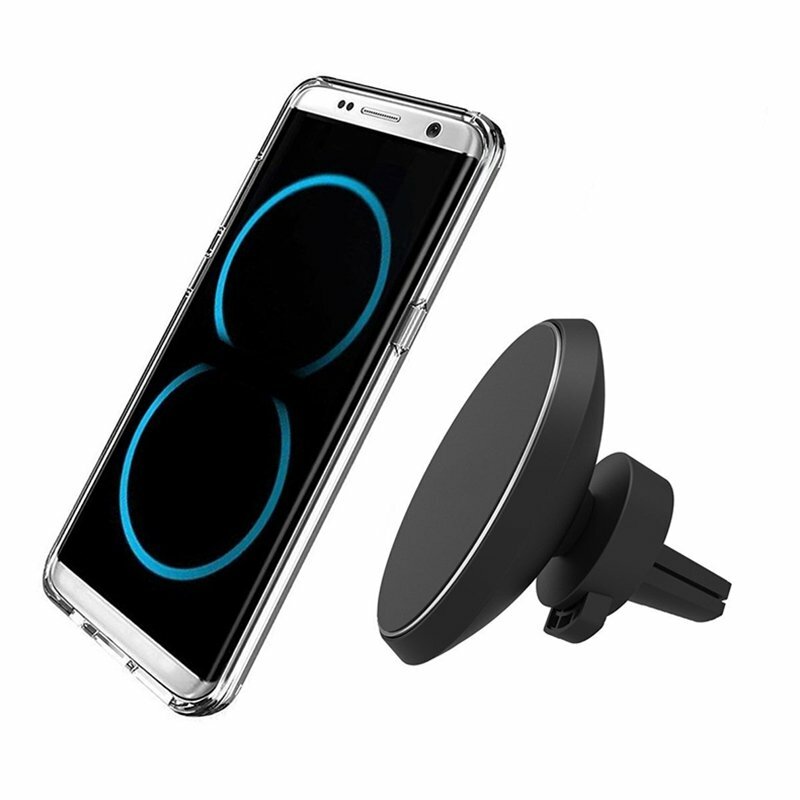 It is easy to use, connect the charging pad to your device’s charging cable then place your phone in the proper location on the pad. 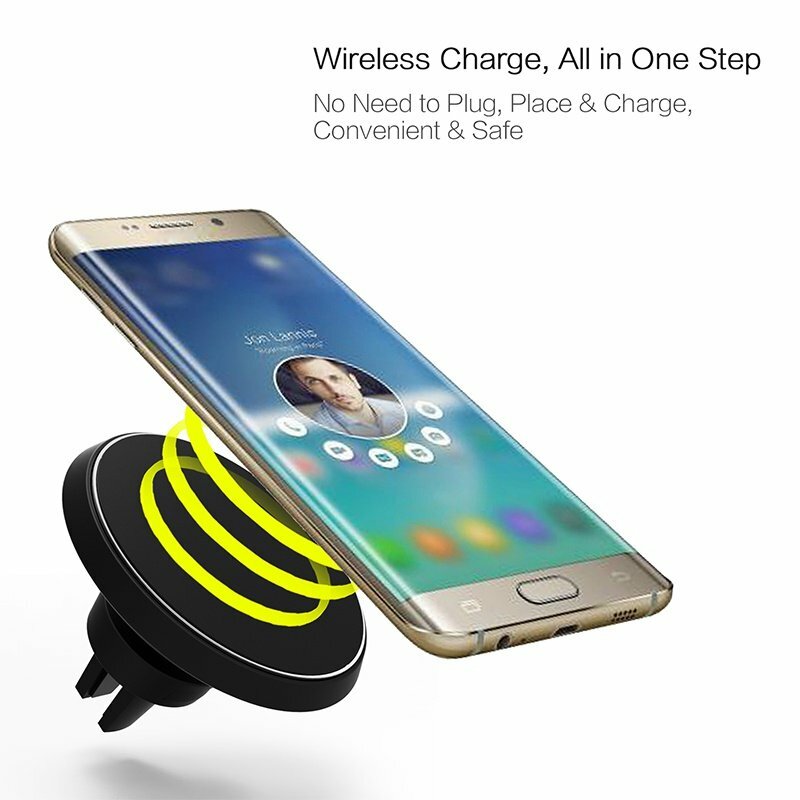 1.Mobile phone wireless charging function, ST program fast charge function. 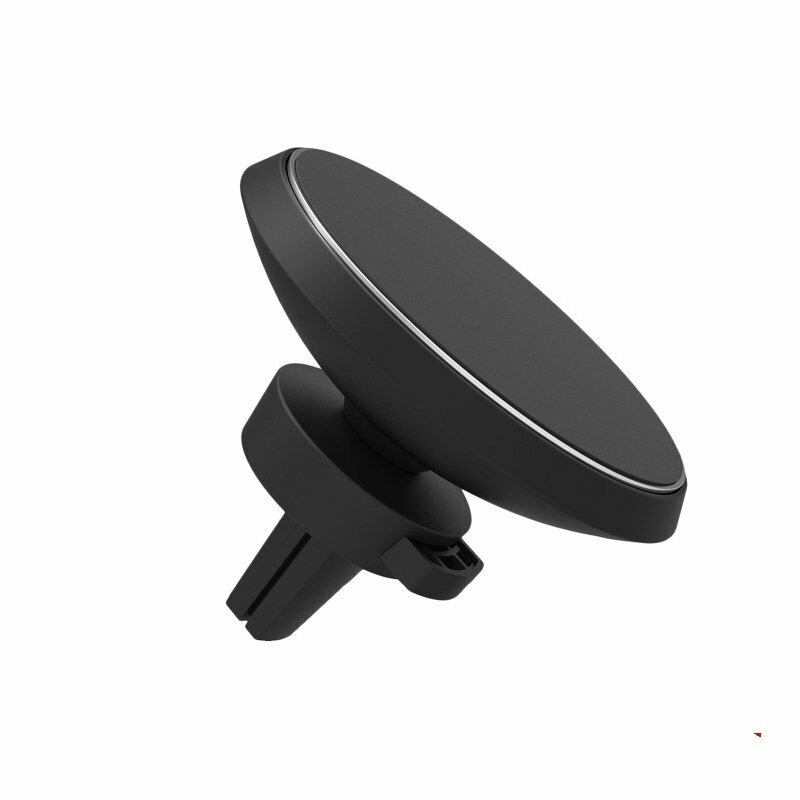 2.Magnetic car mount, 14 pieces super strong coating permanent magnets lying around the wireless charger. 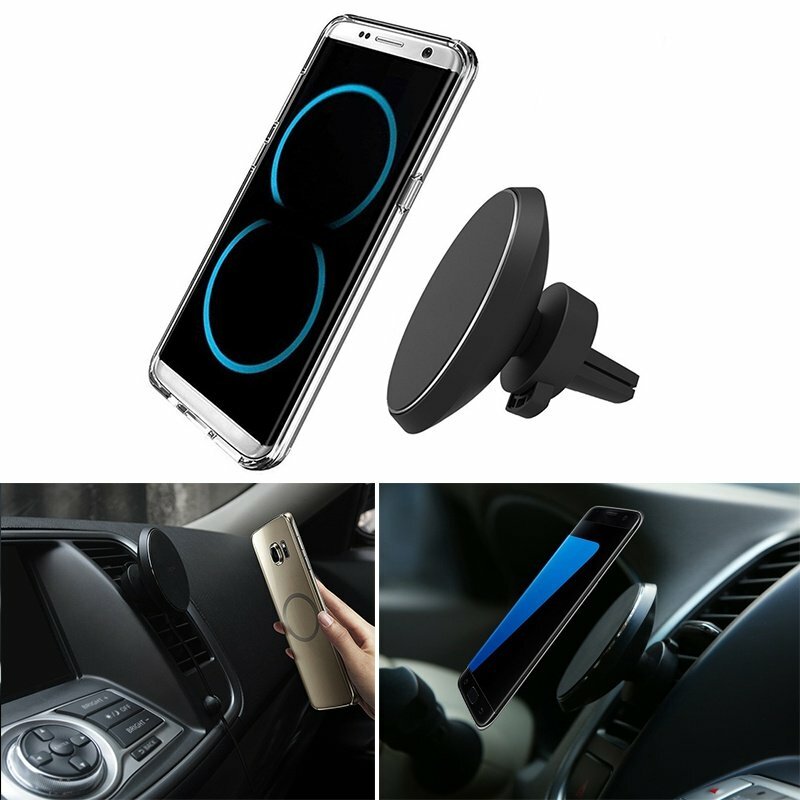 3.360°rotation air vent clamp holder providing flexible choice of viewing your phone while driving. 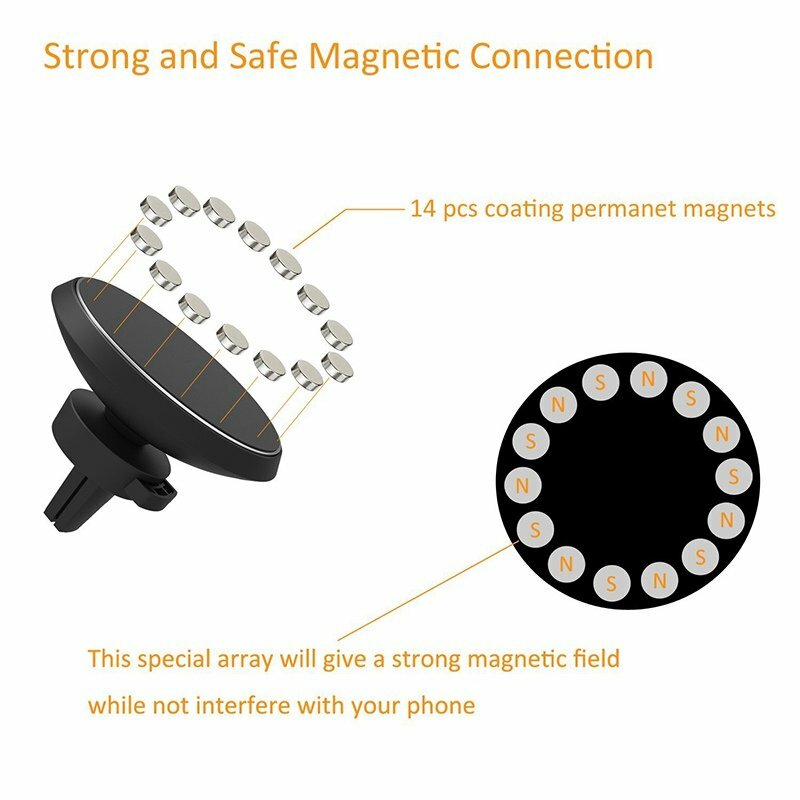 4.Easy installation and connection wireless car charger with strong magnets, just one touch(If the magnetic force is not strong due to the thick phone case, please stick the metal ring which included in the package). 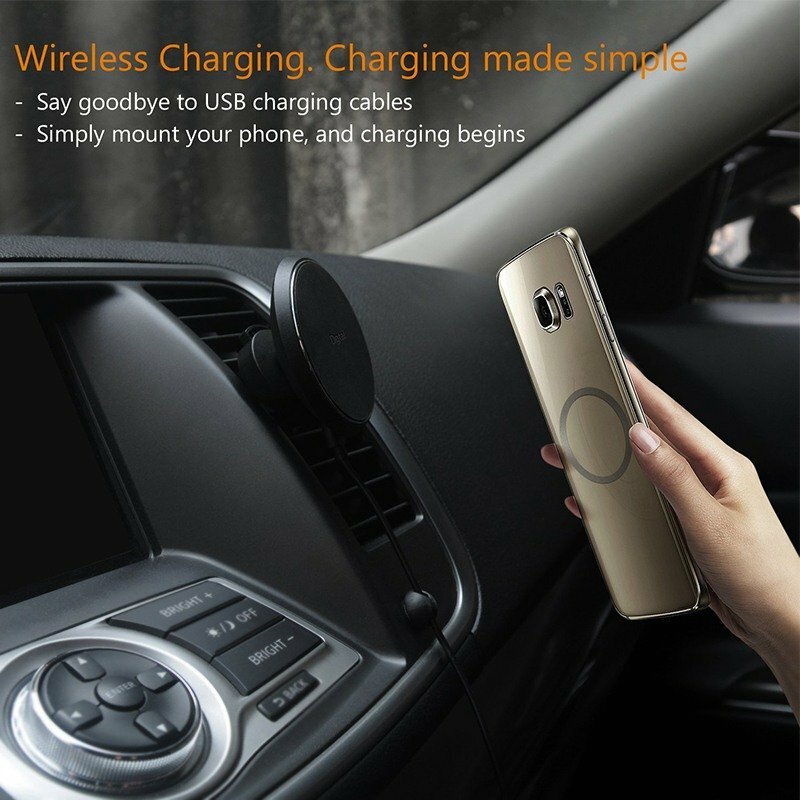 5.Built-in high quality Qi wireless charging chipset, and the charging area with anti-scratch & anti-slip silicone padding, protect your phone from scratch and falling. 6.LED indicator light, standby state is red, charging status is blue. 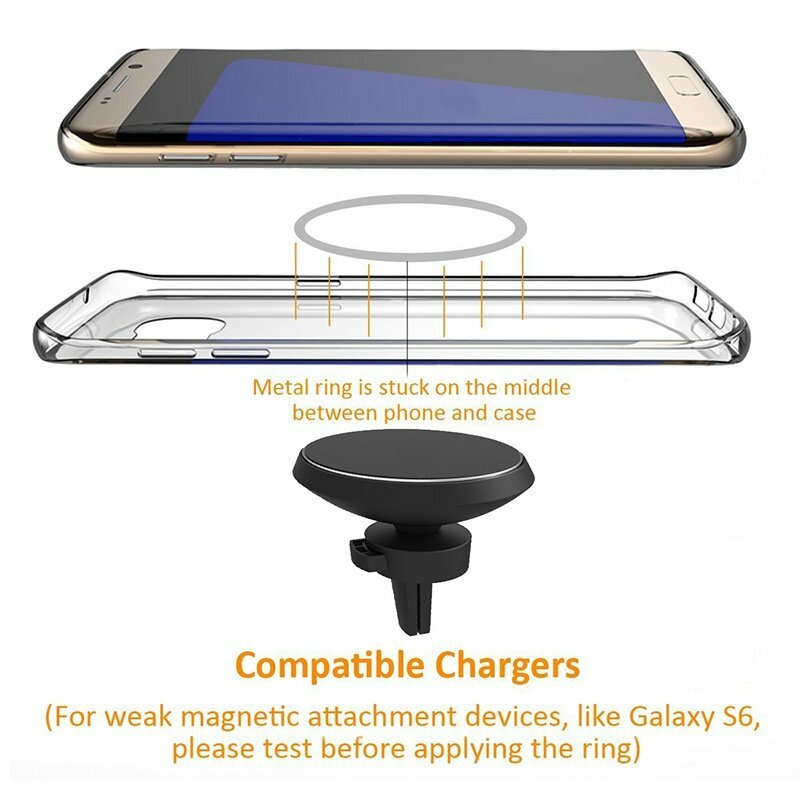 Compatible: Samsung Galaxy Note 8/S8 Plus/S7/S6 Edge, etc. 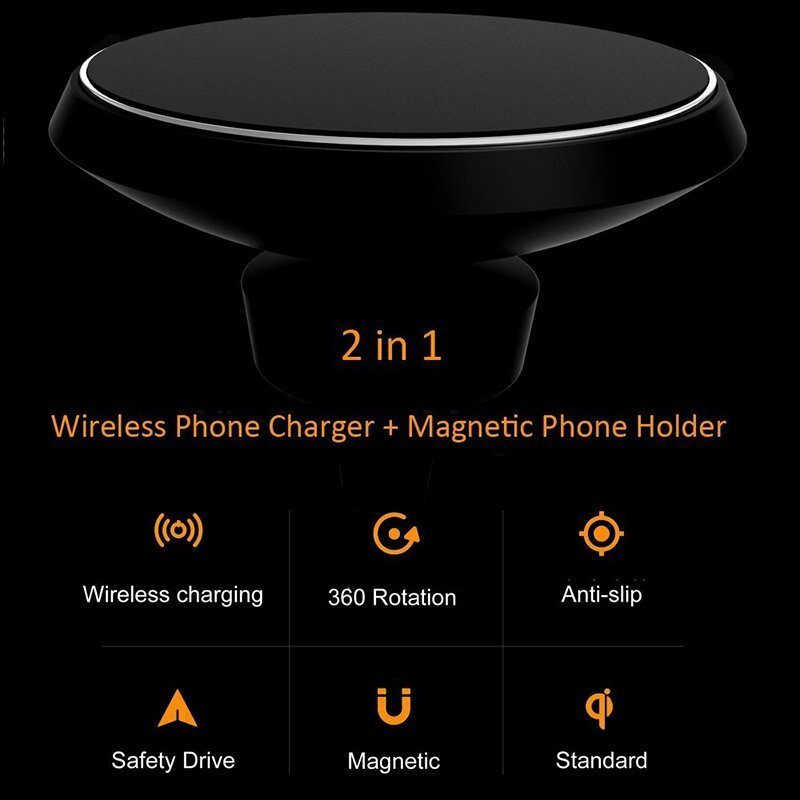 1.Universal compatibility for all Qi enabled wireless charging devices or devices with Qi receiver. 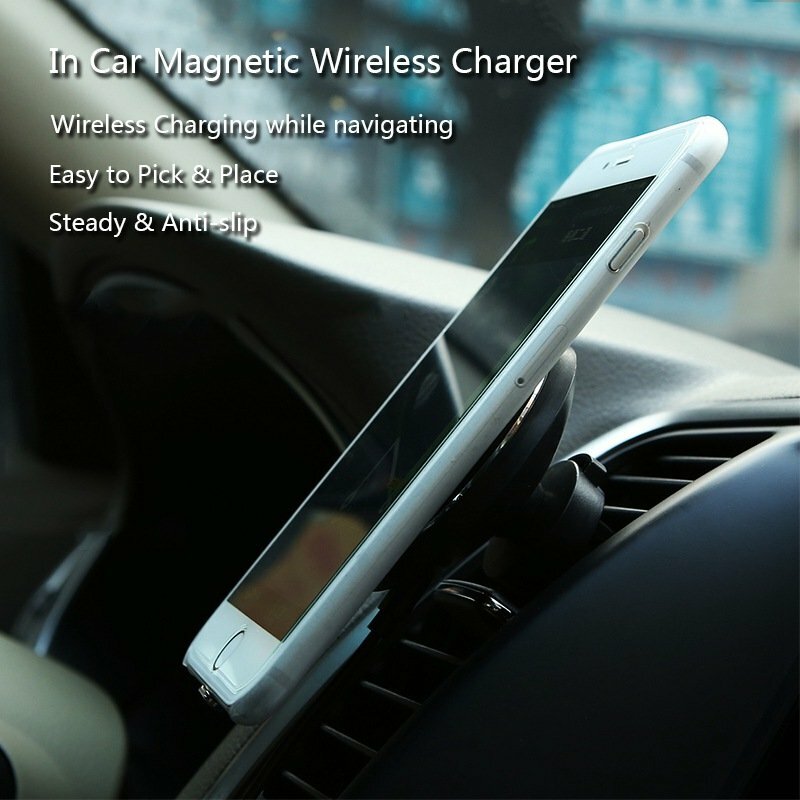 2.Charger is made of ABS solid and Acrylic which provides great responsibility to scratch, drop and break, much more durable also easy to clean. 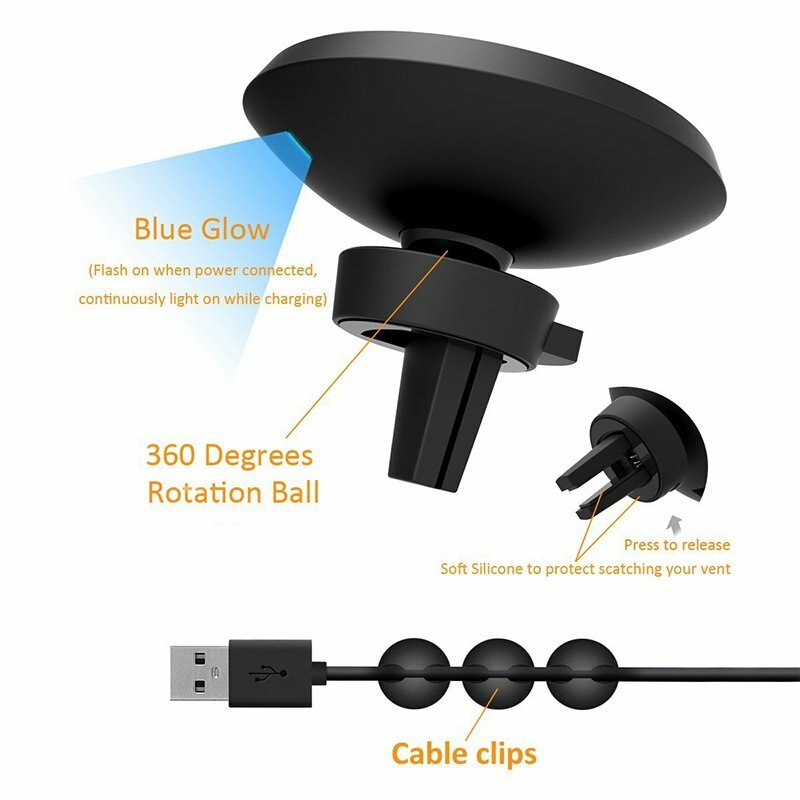 5.With non-slip silicone for stable placement of your device. 6.Ultra-thin, lightweight and portable, perfect for using at home, office, public area, etc. 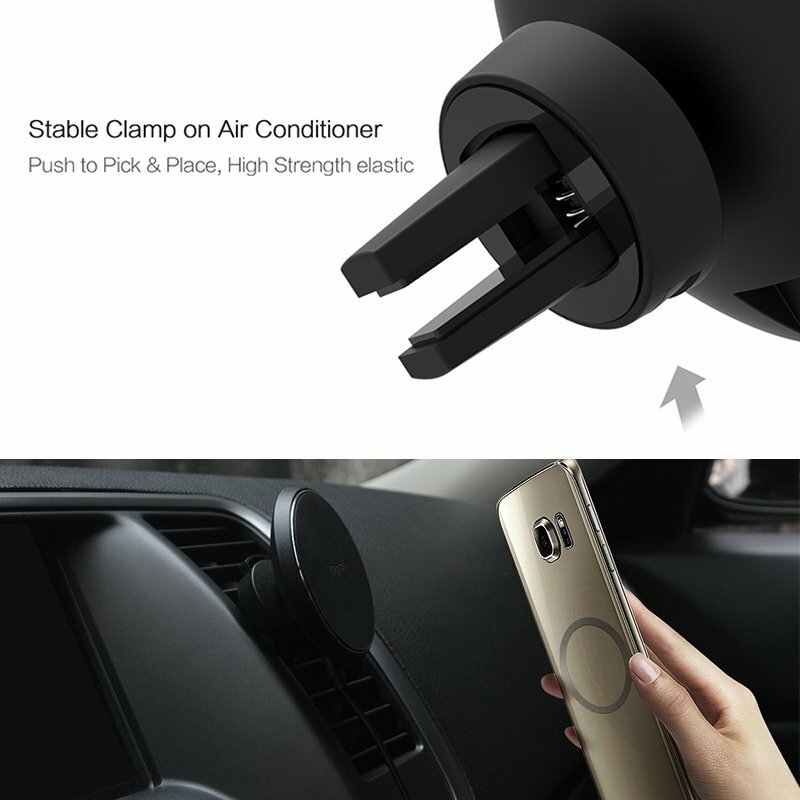 Compatible: iPhone 8/8 Plus/X，Samsung Galaxy Note 8/S8 Plus/S7/S6 Edge, etc. We ship to CANADA only. Please allow up to 48 hours for shipping arrangement after payment confirmed. We ship items only to the ebay address. We will not be responsible for any loss because of wrong or undeliverable shipping address. We offers 60-day refund. Warranty period starts from the date of purchase.We are not responsible for any kind of compatible issues, or problems related to any specific software or games. Please check our description carefully before purshing. If there is not anything wrong with our product or description, we won’t bear the return shipping. We try to make sure you have a pleasant shopping experience with us, so that we could do more business with you. If there is any dissatisfaction, please email us instead of leaving any 1, 2 or 3 ratings, negative feedback or open any ebay or paypal dispute. We believe we try our best to resolve the issues. Please give us the opportunity to resolve any problem.